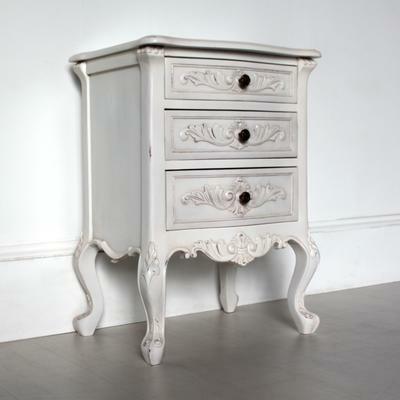 This Classic Bedside Table with Three Drawers can add a subtle French vibe to your living room or bedroom. Created to be both functional and stylish, this is carefully handmade by experts using solid mahogany wood. 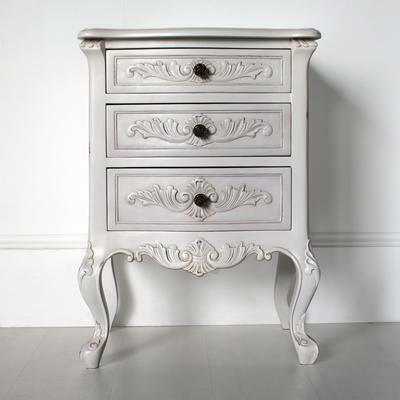 It's been carved in certain areas including the front portion of each drawer and the bottom portion extending to the cabriole legs. Speaking of drawers, there are compartments you can use to keep your items organized. 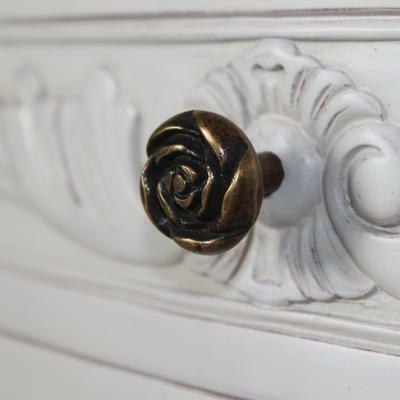 Each one is fitted with a circular handle complementing the vintage vibe of the piece. 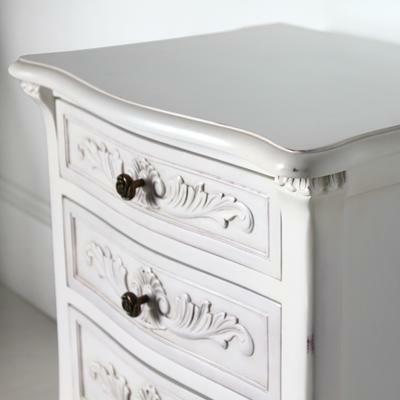 Meanwhile, the entire bedside has been handpainted in a lovely white finish and then subtly distressed to give off an aged effect. 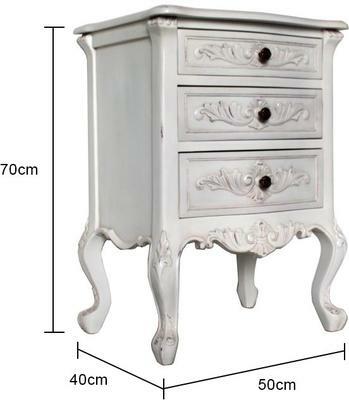 Use this inside your bedroom or inside your living room, it's a wonderful and elegant piece to have.